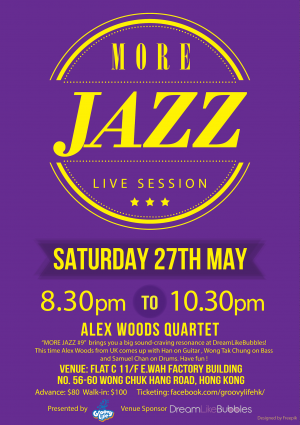 MORE JAZZ #9” brings you a big sound-craving resonance at DreamLikeBubbles! 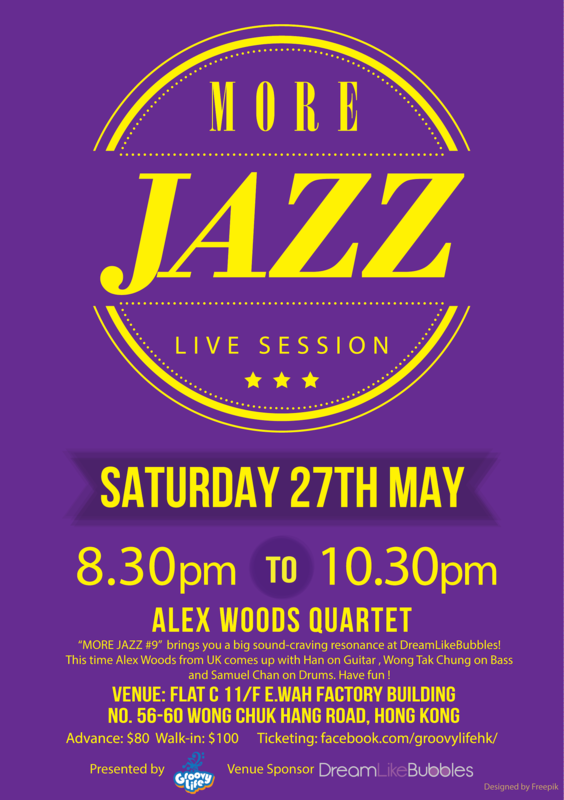 This time Alex Woods from UK comes up with Han on Guitar , Wong Tak Chung on Bass and Samuel Chan on Drums. Have fun !